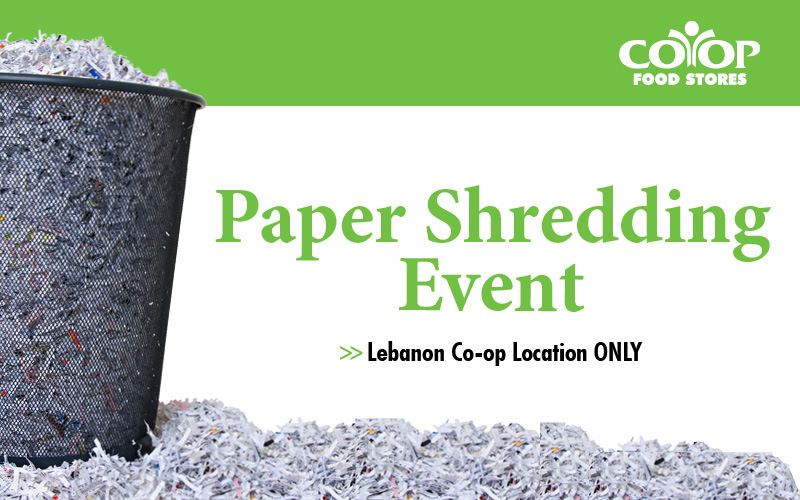 In honor of Earth Day, get rid of your old papers with the assistance of the good folks at SecurShred. Based in Burlington, SecurShred is certified by the National Association of Information Destruction (NAID). All shredded paper is recycled. To participate in this charity event, we are asking for a $5 cash donation which will be distributed among four Upper Valley environmental non-profits. You can shred any sized box of documents. You don’t even need to remove the staples and paper clips.